style="font-weight: 400;">No Country for Old Men. In a few swift, brutal moments, several of our lead characters are left dead. Chigurh, the unholy force of evil sweeping the state, drives off, his fate uncertain. 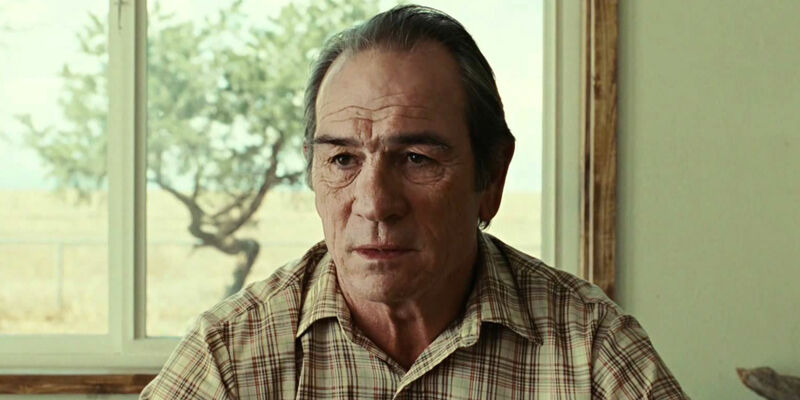 The movie finds Sheriff Ed Tom Bell (Tommy Lee Jones), the film’s ostensible conscience, talking to his wife over breakfast. Jones murmurs an enigmatic monologue, about the dreams he had the night before. Both dreams are about his father, who Bell observes is now the “younger man”, as Bell is 20 years older than his old man ever was. In one, he was supposed to receive some money from his father. In the other, he sees his father pass him on horseback on a cold mountain path, and he knows that he’ll join him up ahead. The screen goes black on this quiet moment, and the movie is over. Like a great piece of literature, film enthusiasts have pored over and discussed this monologue at length. It can be read in any number of ways, from a commentary on the changing society to a meditation on life and death or a eulogy for a simpler time. And like any great ending, all interpretations are valid.